This entry was posted in Racing on July 3, 2012 by Steve Tilford. This was the title of an “article” Velonews threw out there yesterday – Analysis: Armstrong investigation is ‘irrelevant’ for many at the Tour de France. Here is the link. Plus, I have no idea why the managers replied in the way they did. Why can’t these guys say something that is believable and honest. Something like, “Cycling have processes to deal with accusations like these. I think we should let those processes to deal with the issue.” Or, “I have no personal knowledge of the allegations against Lance and Bruyneel, so I don’t have anything to say.” Maybe Jonathan couldn’t honestly say that, but you know what I mean. 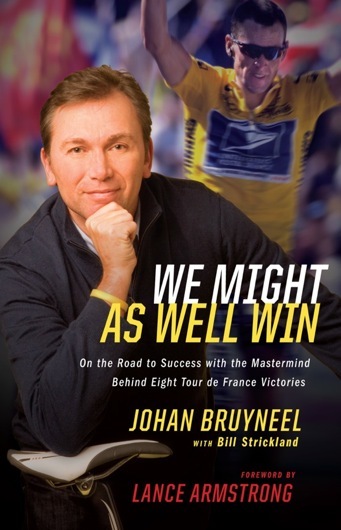 I wonder if Jonathan thinks that the Radio Shack team, the team who is currently protecting the yellow jersey, not having it’s team director, Johan Bruyneel at the race, is irrelavent to “this Tour de France?” The manager who has “led” 9 Tour de France Champions? I’d hope not. And I assume Brailsford knows that Johan Bruyneel is the current team director of the Radio Shack team. Not just in the past, but currently. I know that Velonews has to write something about the sport. Maybe, in the future, they could write something that might be news worthy and not something just made up for some unknown reason. 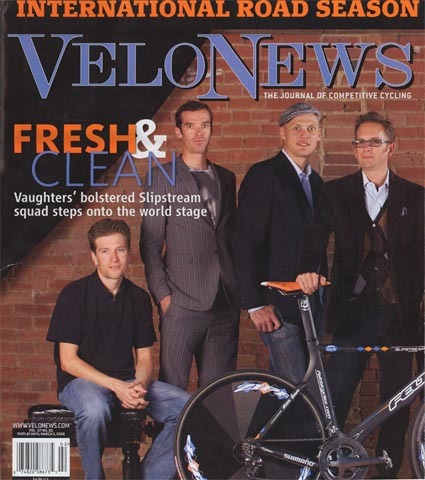 Jonathan on the cover of Velonews with all the other clean riders. Maybe David and Jonathan have already read Johan’s book, so they don’t need him around at the Tour. Why does anyone expect anything other than a politician’s answer from these guys? Its the investigator’s job to investigate, journalists job to report (and if they are any good to investigate), while everyone else in the sport is either too busy to be interested, or too interested to risk saying anything. No idea what JV knows, but Brailsford is sitting on the top of a lot of public and private investment in the future of the sport here in the uk (have you been here since you rode the milky? The sport may be enjoying a “boom” (if you count charity rides and club runs dressed up as sportives), but the reality is not so healthy – the domestic racing scene is in real peril, not least because everyone else wants cyclist off the road. Brailsford has an MBA, is a master at what he does and knows better than to put his head above the parapet. The response from Lance should be interesting but the truth would be better. I’m guessing Vaughters doesn’t think it’s irrelevant anymore.